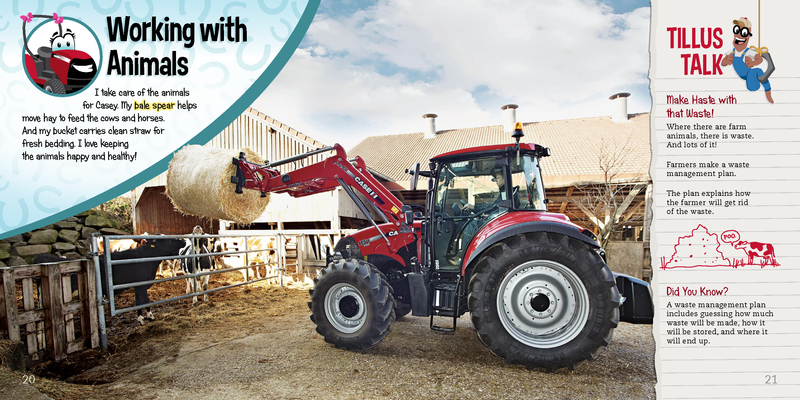 Busy on the Farm introduces children to the demanding world of modern farming. 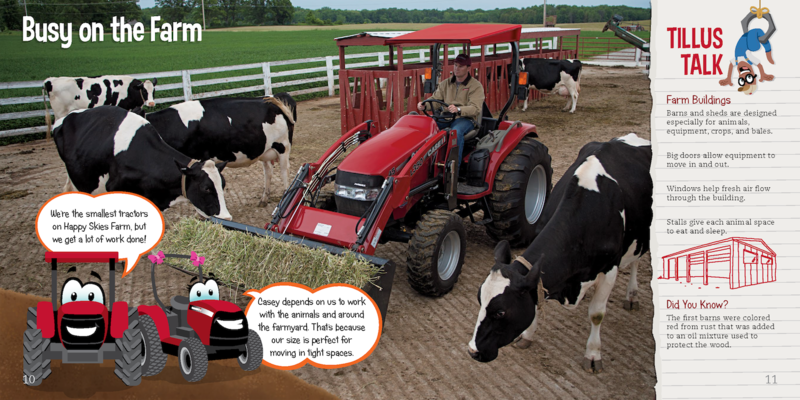 Narrated by Casey the farmer and Tillus the worm, this book teaches children how Frankie and Fern, Casey's hardworking Farmall tractors, feed, clean and take care of animals in addition to maintaining Happy Skies Farm. Plus, learn the science and art of haymaking with Bailey Baler. Filled with colorful action photographs, fun illustrations and a cast of cartoon equipment characters, Busy on the Farm will entertain readers as they follow Casey and the team through a busy day of chores!